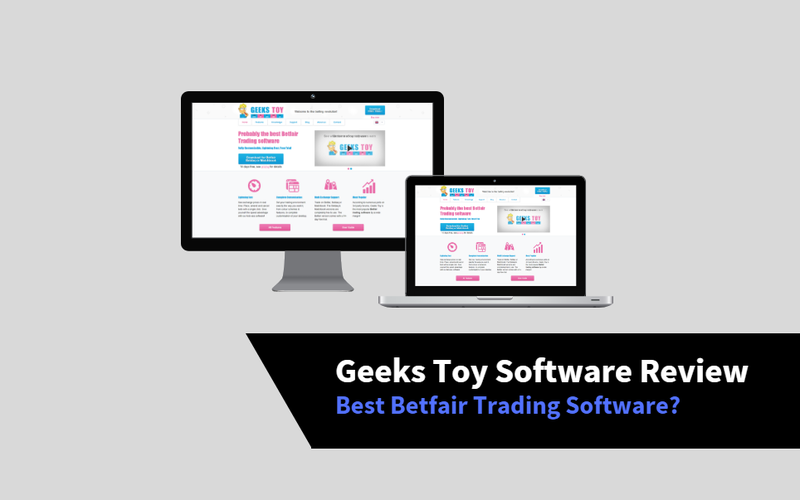 Geeks Toy Review: Best Betfair Trading Software? Finally I got around to creating a Geeks Toy Review. It’s no secret that it’s my preferred software, although a handful have asked for some specific detail as to why. 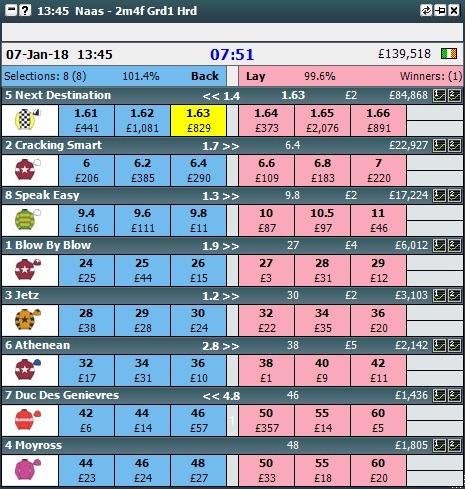 Geeks toy is a piece of third-party software that allows you to trade on Betfair Exchange using tools that you can’t find on the Betfair website alone. One of the main advantages of using software like Geeks Toy is speed of bet placement. Time is critical when trading and good trading opportunities can be missed in milliseconds. According to their website, the software was created almost by accident in 2007 by “The Geek”. 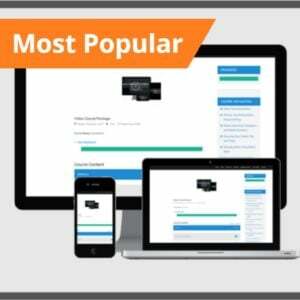 It launched two years later in 2009 and gained a number of users, mostly by word of mouth. The software is now ran by two geeks and is used in over 100 countries. There are a number of other Betfair Exchange softwares available. Geeks Toy is the one that I use on a daily basis when trading though, since the first time I tried it I never looked back. Although this isn’t unique to Geeks Toy, the ladder interface is easy on the eye. Certain trading styles require a broader market insight. Market ladders allow you to see the money available in the market at multiple price points. Of course, this is possible on the Betfair website but only a few prices are visible. If you prefer to trade on a similar layout to the Betfair website, the grid’s ideal. Just like the website, you will be able to see the best 3 prices on the back and lay side. Money available at those prices is also shown. One-click betting is the best feature to the grid. In-running players tend to prefer the grid in some instances. 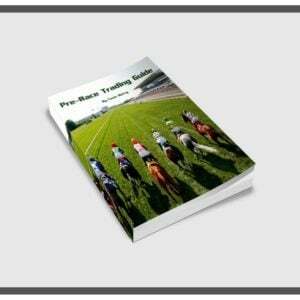 Especially in pre-race markets, profitable trading opportunities can come and go in a matter of seconds. The ability to bet with one mouse click is essential for making the most of out the pre-race markets. Geeks toy is one of the most flexible Betfair Exchange trading software’s available. If you’ve used other trading software before, you should be able to pick up Geeks Toy fairly easy. Layouts tend to be similar, although the toy has extra customisation. Out of all the other options, Geeks Toy is one of the cheapest available. You can grab three months access for 20 GBP or purchase an owned license for 120 GBP. The owned license is a one-off payment so you will never need to purchase the software again in the future. All upcoming updates will be included in the owned license. Geeks Toy is just as safe to use as any other Betfair trading software. The majority of Betfair Exchange trading software’s use the Betfair API to interact with Betfair. The API is a method of communication between Betfair and user. All vendors have to be verified and checked by Betfair too. As the Betfair passwords are sent directly to Betfair and not to the Geeks Toy admins, your user credentials should be completely safe. It’s always a good idea to set up two-factor authentication with Betfair, regardless of using software or not. This adds another layer of security to your account as hackers would have to find out your username, password and input a confirmation text that is sent to your phone. Payments to Geeks Toy for both types of licenses are handled by well-known and respected payment processing companies. Geeks Toy looks and operates very closely to other Exchange trading software’s available. 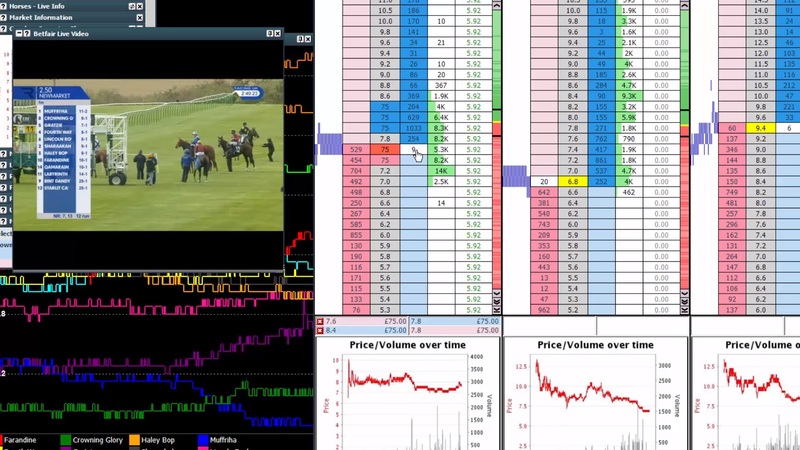 If you’re familiar with my pre-race trading videos on YouTube, then you might already have a good understanding of the software as it’s my software of choice when trading. Installation is straightforward. If you have any problems, there’s a very helpful support section on their website alongside a busy forum of Geeks Toy users. Most questions are already answered, if not, Geeks Toy pledge to answer any support requests within 24 hours. You can’t argue with that! To replicate the layout that I usually show on my pre-race videos, you will need to open the ladder interface and the market overview screens. For those who are wondering how I record these videos, you might be interested in my screen recording review post. Using Excel With Geeks Toy? Unfortunately there is not yet any Excel integration with Geeks Toy. Some traders like to tie Excel with programmes such as Gruss and Bet Angel. For manual traders it’s not so much of a problem. Those after automated trading may find Geeks Toy isn’t the right package for you. Geeks Toy is easily the best value for money trading software available if you consider purchasing the owned license option. Currently the owned license costs 120 GBP per year. That works out at 10 GBP per month. Of course, you will never have to renew your subscription with this option. If you decide to use the software for a few years (let’s say three years). This brings the effective monthly price down to 3.33 GBP. This makes it a daily cost of just 10p. I’ve been using it for nearly 8 now, bargain. If you compare this with Gruss Betting Assistant which costs 60 GBP annually, you would be better off using Geeks Toy if you plan to use it for two years or more. As yet, there’s no SMARKETS option. Like a few other trading software packages, Geeks Toy also has a Betdaq version available free of charge. The Betdaq version works in a similar way to the Betfair product, but will of course allow you to trade on Betdaq. You may notice that it has slightly fewer features than it’s Betfair counter-part. This is partly down to the Betdaq API being less feature some than that of Betfair. The first thing you might notice is that the charts will look different. This is because Betfair produce their charts, not being by the software itself. According to the Geeks Toy website, the company receives some financial help from Betdaq to keep the software free to use for it’s users. Geeks Toy is one of the only major sports trading softwares that has the capability for trading on Matchbook. You won’t be able to use the exact same piece of software to trade on Betfair, Betdaq and Matchbook as they come in separate downloads. Like the Betdaq version, Geeks Toy for Matchbook is completely free to use and is available to download from their website. If you prefer to try before you buy, Geeks Toy comes with a 14 day free trial which will give you full access to the product and all it’s features for the entire trial length. Following on from that, you will need to purchase a subscription or an owned license to continue using the software. The 14 day trial length is fairly standard in the industry except for Gruss Betting Assistant, which offers 30 days of free use. Geeks Toy has a practise mode which they call “training mode”. This allows you to trade the markets without actually using any of your own funds. There is much debate as to whether practise mode is useful or not. If you’re learning to trade, it’s certainly useful when learning the ropes. Particularly if you’ve not used software before. If you’re unfamiliar with Geeks Toy or haven’t used any trading software before, it may be a good idea to trade on training mode for a while until you are confident enough to use real money. The last thing you want is to lose a big chunk of your bank because you pressed the wrong button. Although the software isn’t built for OSX, there is hope for Mac users as there has been a good discussion on the Geeks Toy forum discussing different ways of running the software on Mac computers. This setup is usually achieved by another piece of software that allows Windows programmes to operate on Mac devices. These pieces of software frequently cost upwards of 30 GBP to buy and may not run as smoothly as the Windows version. As there is no official OSX version of Geeks Toy, you are unlikely to get much technical support outside of the community forum. Geeks Toy is a great choice and is extremely low-cost in comparison to other products on the market. As one of the few products that features a lifetime licence, the effective daily cost of using the software is almost nothing. The software is extremely lightweight and will run on almost any machine including Mac computers, although that is not officially supported. If you prefer trading on smaller exchanges such as Betdaq and Matchbook, Geeks Toy offer versions for both of these exchanges at zero cost. If you’re thinking of giving Geeks Toy a go, there’s no harm in signing up for their 14 day free trial to help get a better understanding of the software. Although you may need to link your exchange account with Geeks Toy, you can practice using the software without using any real money by using the training mode. Although Geeks Toy is very flexible in the user layout, it does lack some features that other software has, such as automated trading tools and Excel integration. Geeks toy is my trading software of choice although there are others that do a similar job comma much of this is just down to personal preference. 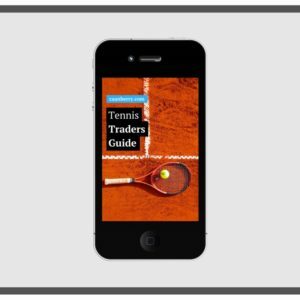 Related Article: Just Started Sports Trading on Betfair? An excellent and unbiased review Caan thank you, I’ll likely take up the full license. Just one question does the software have a Dutching facility inbuilt? Thanks for the kind words – I’ve never used dutching although there is a multi-bet tool yes. Caan Is there a position in que indicater with geeks toy?? Yes I believe so, although I don’t use it as it can’t be accurate. With the geeks toy software for Betfair is there a special promotion with your videos? I know you have in the past for other things but it would be good for me right now. There isn’t a promotion for this I’m afraid, occasionally there is one with the guide although not the videos. Any recommendation for the best software to use on a Mac? Looks like Geeks, Gruss and Bet Angel won’t run on Macs. I use Mac Josephine and used Bet Trader from Racing Traders, however… Many on my group including myself have stopped using it due to problems that were costing us money due to constant software problems, al of which many of us highlighted but were not addressed. Unless they have now? I bought a W10 laptop and use one of the more reliable trading software and I intend to give AGT a go. So GT doesn’t have automated trading tools and Excel integration but it’s still your favorite exchange software? Would you say that it’s the multiple ladder interface that sets it apart for manual traders/scalpers? What Mac based alternative do you recommend? If you search Betfair Trading Software for Mac via their forums there is a lot of discussion and solutions there, far more than I could tell you! Personally I don’t use one so haven’t spent much time with them. Hi Caan One thing it doesnt seem to have which Betangel does and which is essential to my style of trading is recent money flow which is shown in a different colour against the historical money flow and is essential to see where the money is going immediately and forms the basis of the vast majority of my decisions ..I dont know how you do without this vital piece of information ..
Hi Gary, it does include that feature. Hi Caan, I’ve been watching your youtube vids and you use a tv racing screen, as transmissions are a few seconds behind real time how do compensate and is it really useful other than seeing how horses are travelling.